Aside from their beauty, the butterflies you release will enter the natural kingdom in the area and , locating suitable habitat, reproduce, increasing the numbers of the butterflies locally. Even though the butterflies have been raised in protected conditions, they are not domesticated. They are as wild as their counterparts that exist in the area. Butterflies are also important pollinators. Most consider the little worker bees common around as the more efficient pollinators, and they are very efficient, but the honey bees we are familiar with are not native to North America. They were imported from Europe partly for honey and partly for their usefulness as pollinators during colonial times, but beekeeping as we know it today did not develop until the mid nineteenth century. We do have native bees, there are in fact approximately 3,500 species of them, but they are not nearly as numerous as the imported bees, many being solitary. If you plant a butterfly garden, it would be valuable to also invest some time in researching what plants to introduce that favor our native bees and also humming birds. However, many native flowers are not pollinated by bees. Only butterflies with their long proboscis can reach into the flower blossom deep enough to pollinate these species. The plants and the butterflies evolved over the eons to depend upon each other long before the North American Continent was transformed by another species, man. Secondly, unlike bees which are generally restricted to a local area, many butterflies are always on the move and can cross pollinate over a large area improving the genetic mix of genes of the plant community. Two species of butterflies permitted by the U.S.D.A. for interstate shipment for release, the Monarch butterfly and the Painted Lady butterfly are even more important as pollinators as they are both migratory. When they migrate, both northward in the spring and southward in the fall, they move pollen grains of both spring blooming plants and fall blooming plants over the distance of the migration improving genetic diversity in the plant species. No bee does this, but migrating humming birds may, although, like the flowers associated with butterflies, their flowering counterparts are relatively specialized. Today, the Monarch and the Painted Lady butterfly populations are not considered endangered nor threatened, but their migration is considered an "Endangered Natural Phenomenon - A spectacular aspect of the life history of an animal or plant species involving a large number of individuals that is threatened with impoverishment or demise; the species per se need not be in peril, rather, the phenomenon it exhibits is at stake." according to the Arizona-Sonora Desert Museum Migratory Pollinators Program. Releasing these butterflies is a proactive effort to insure this migration continues by adding numbers of these butterflies to the breeding population in order to maintain the very large numbers necessary to sustain their migrations. Inside state borders, butterflies of other species may be offered for release, most notably in Florida. Butterflies raised within the state and released within the state are not subject to regulation as they are considered native to the relatively limited confines of state boundaries. 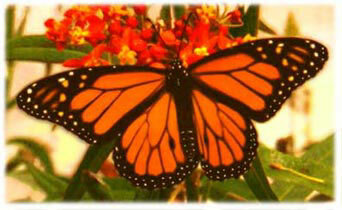 We offer, as an option, a mixture of Florida native butterflies for release inside our state. Our philosophy is to introduce as many species as viable to insure the health of populations of our native butterflies as well as our native plants. Butterfly farming, like beekeeping, is an established industry although beekeepers have a head start on butterfly farmers by about 5,000 years with ancient Egyptian records of the practice. Butterfly farming, however, as we know it today, parallels the growth of the modern beekeeping industry with roots dating back to the mid nineteenth century although many readers may be unaware of this. However, over the last century and a half, some goals remain the same like supplying butterflies for enjoyment in butterfly house exhibits and collection specimens, for example, but also goals have changed in that ceremonial releases have become an important proactive ecological program for maintaining wild populations of these wonderful insects and also native plants that depend on them. We are founding members of the International Butterfly Breeder's Association (IBBA).